“I feel like the proud parent of twins,” said Brian Doerksen. Through a quirk of scheduling, his Level Ground worship CD/DVD came out September 14, and a double CD of his Prodigal God project comes out less than a month later, on October 12. 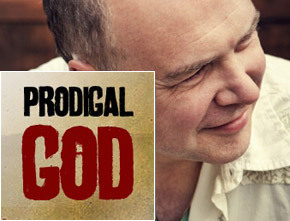 Doerksen has been working on Prodigal God, based on a parable in Luke 15, for more than eight years. He had prepared a theatrical musical, with original songs and dialogue, which he had hoped to launch in February 2010 as part of the Christian arts outreach in conjunction with the Vancouver Olympic Games. The end of 2009 and the first quarter of 2010 were spent in the studio. Doerksen was “thrilled” with the people who were so impressed with the project that they agreed to be part of it. Among them was Ron Kenoly from Florida, whom Doerksen had never met. Kenoly, whose voice Doerksen described as “a singing version of James Earl Jones,” sang the part of the father on the CD. Doerksen himself sang the part of the older son, while local musician Colin Janz sang the part of the younger son, and Marika sang the part of a young woman. The CD will be released October 14 but at first will be only available through a website. Those who buy it will pay different prices depending on which character in the story they identify with. “We are inviting people to role play and get involved in the story,” Doerksen said. People can also go to the site and become “members” of the project and get six songs for free, including one sung by Kenoly.